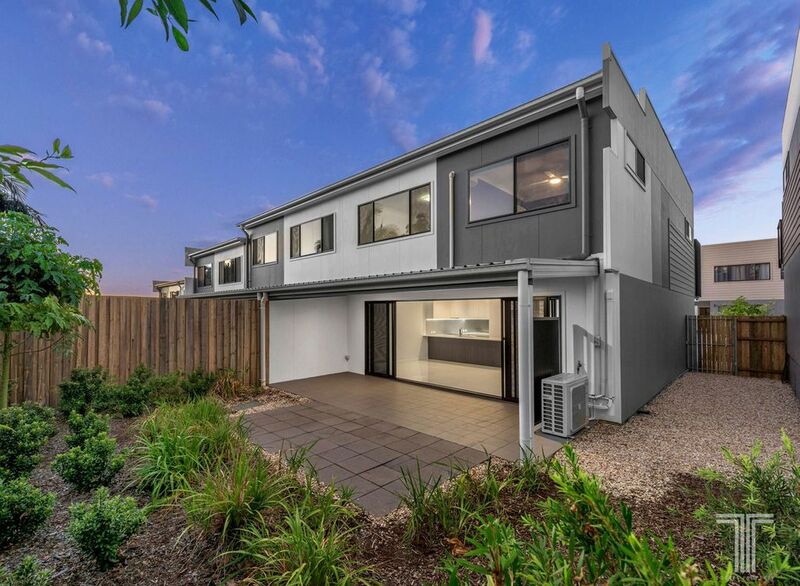 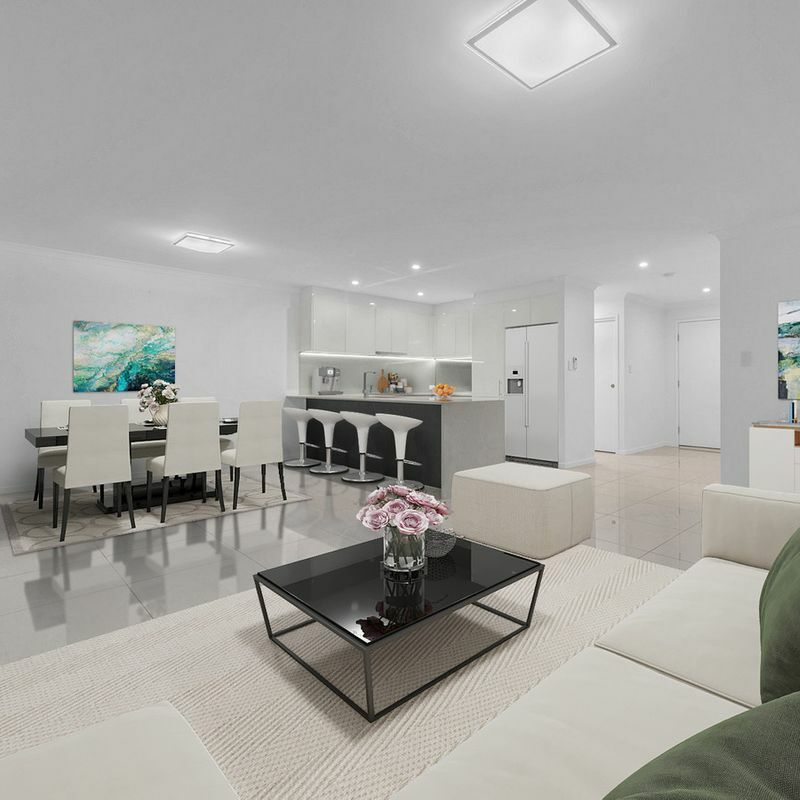 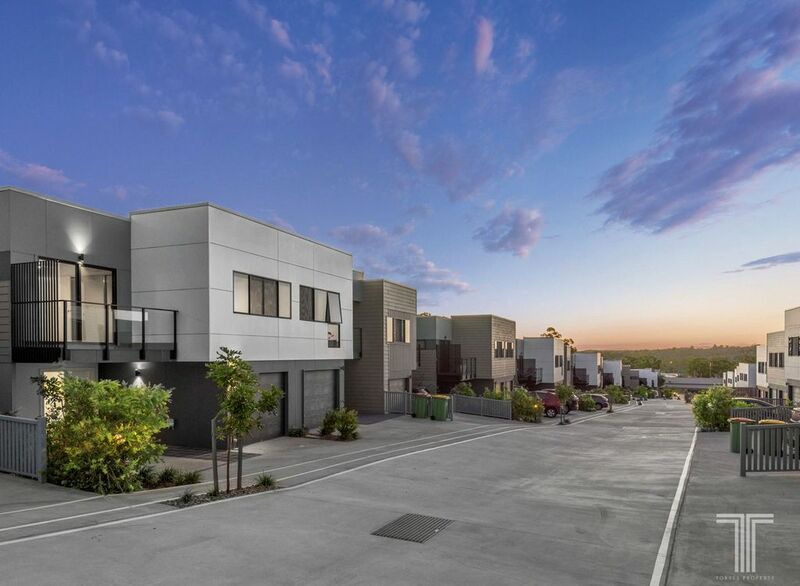 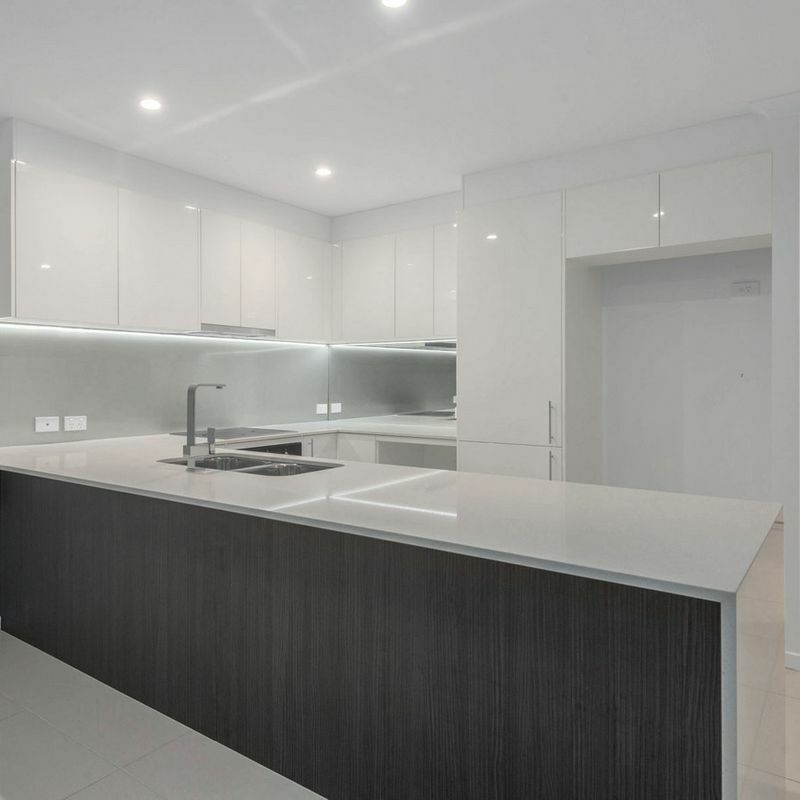 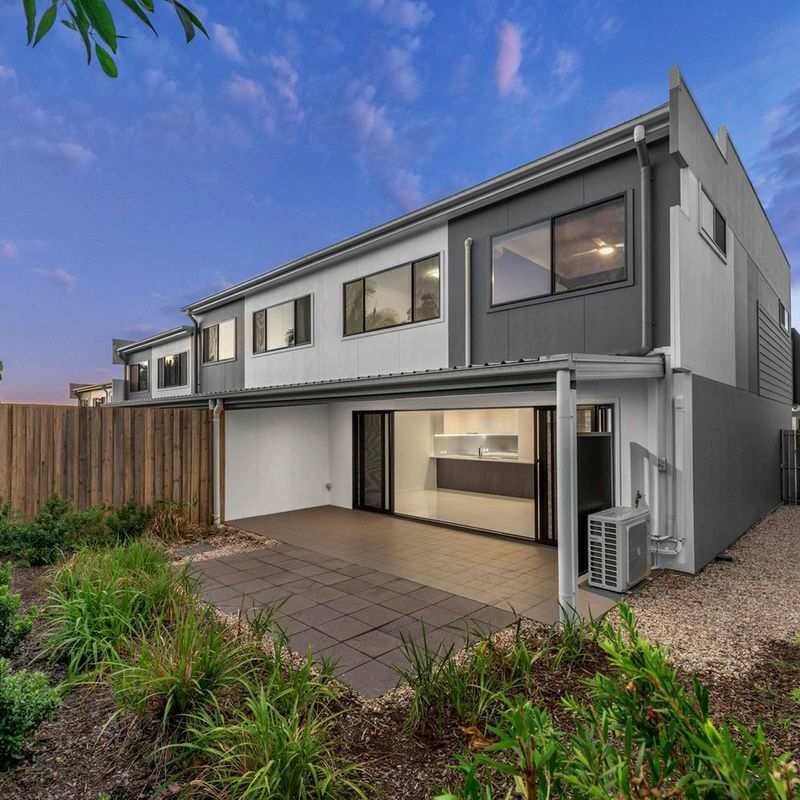 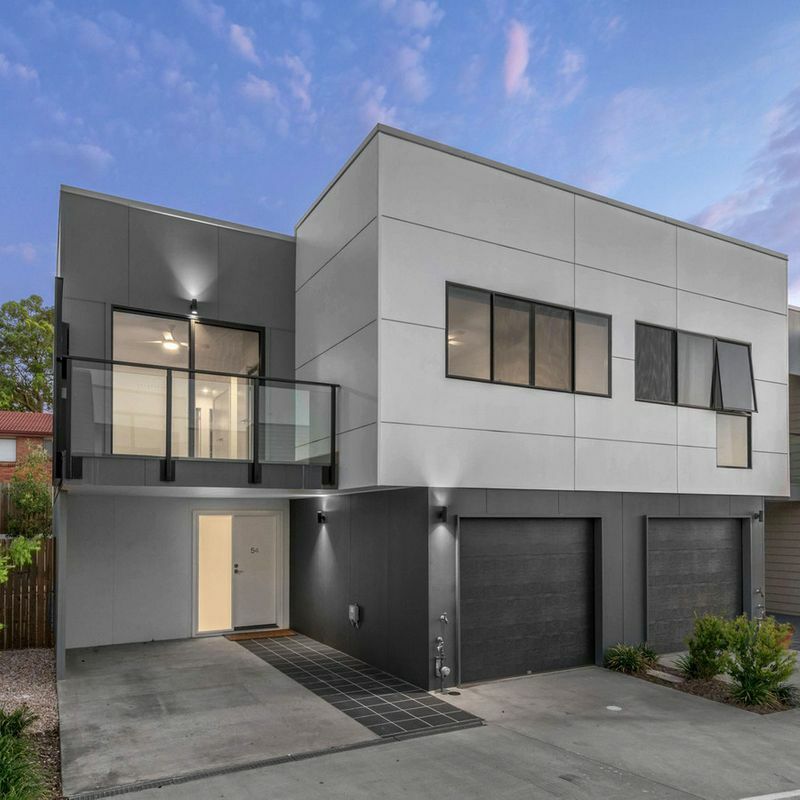 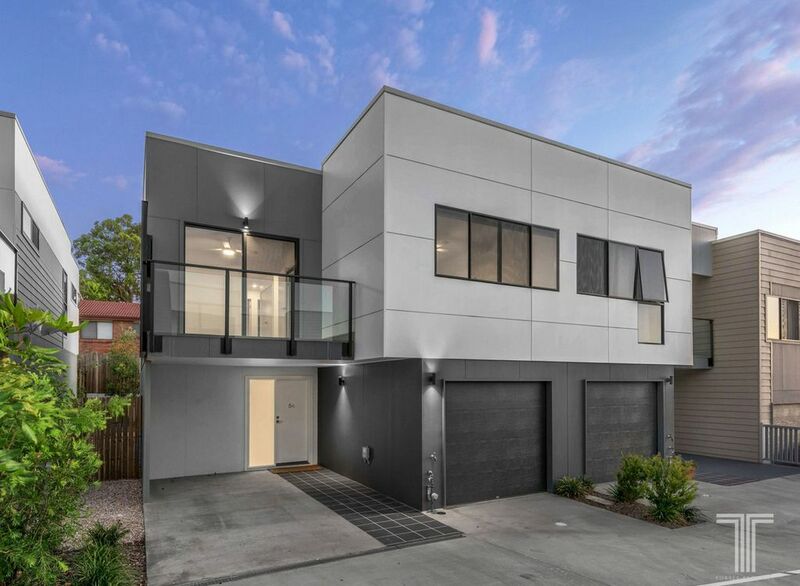 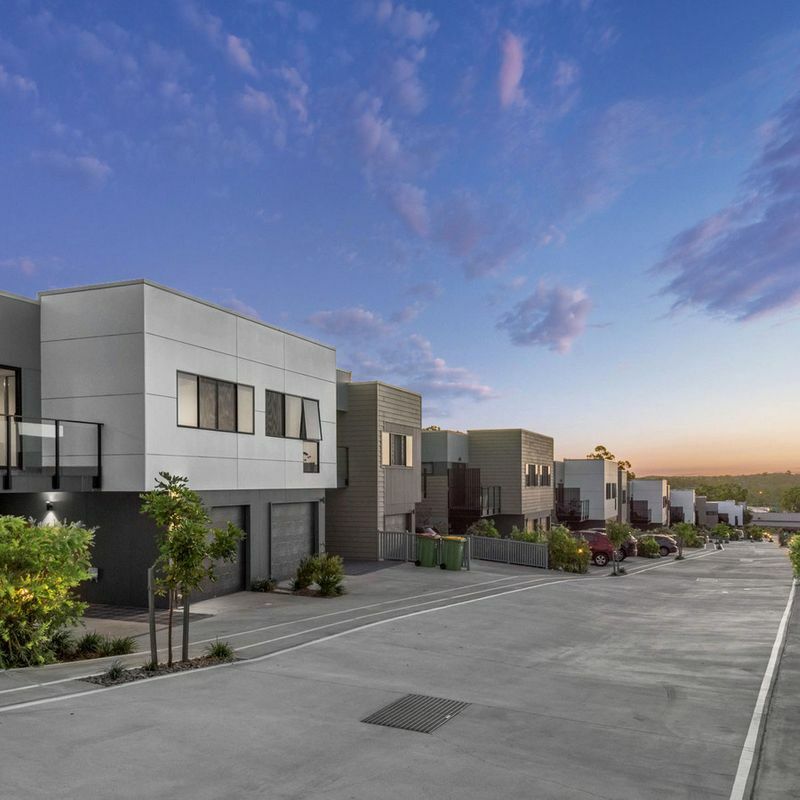 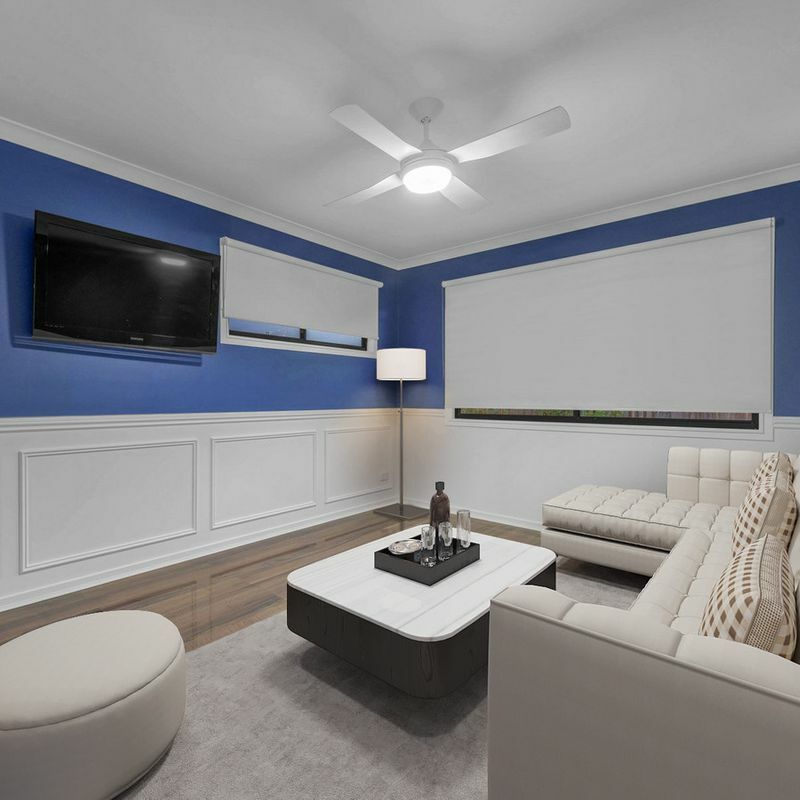 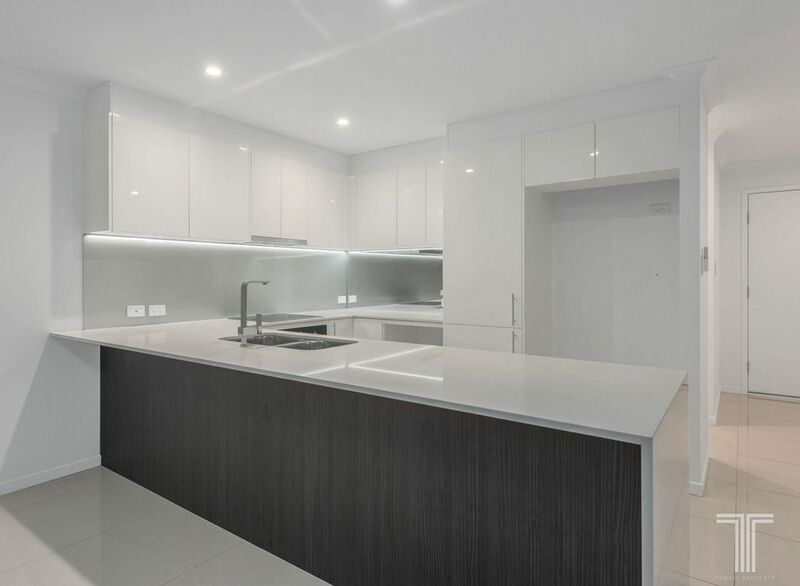 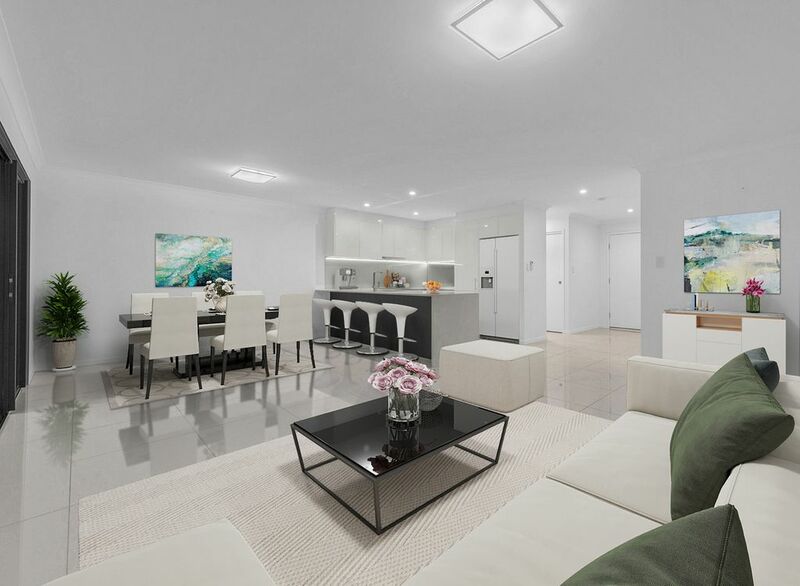 Sleek, stylish and effortlessly elegant, this modern townhouse presents an abundance of space and idyllic position within a private residential community. 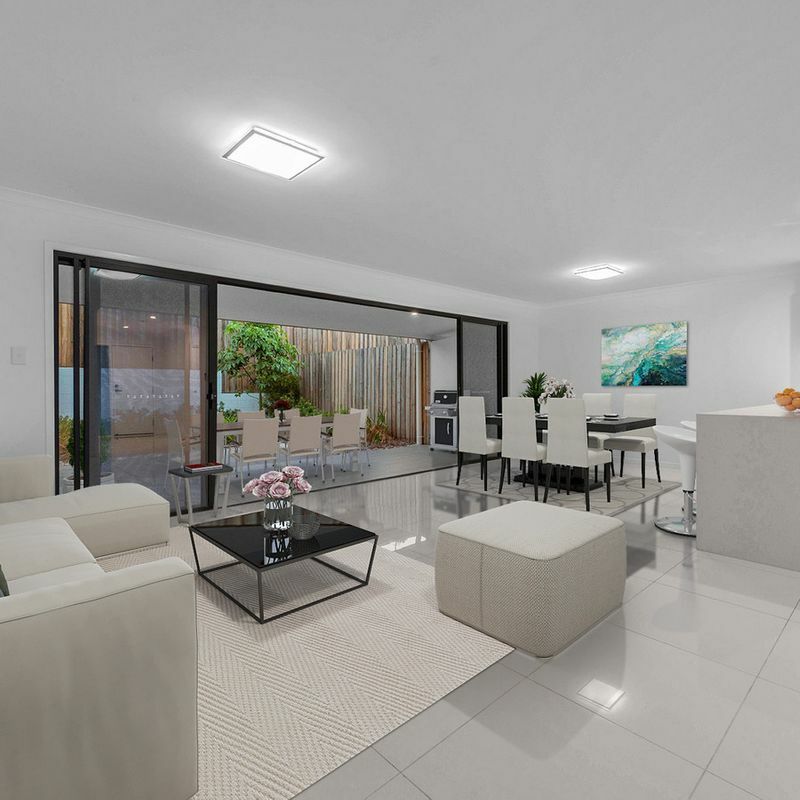 Showcasing an architectural design composed of clean lines and crisp finishes, the ground floor of this home hosts an open plan lounge and dining area. 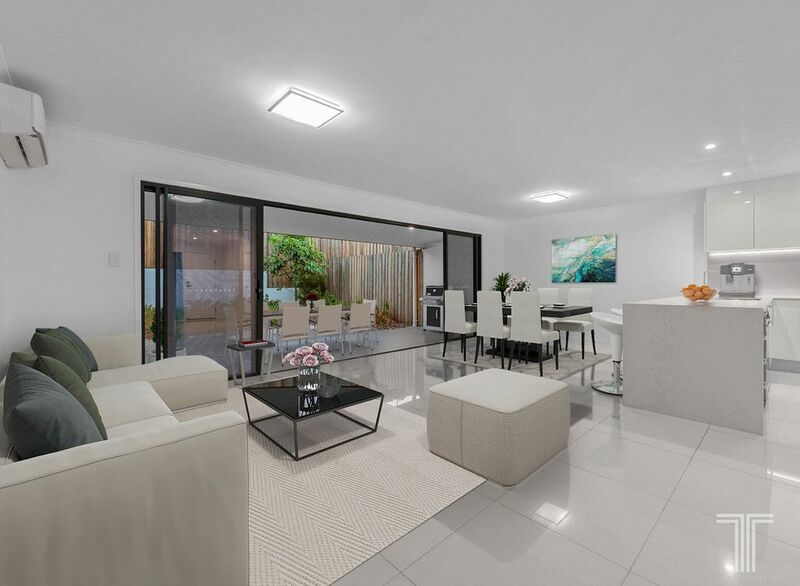 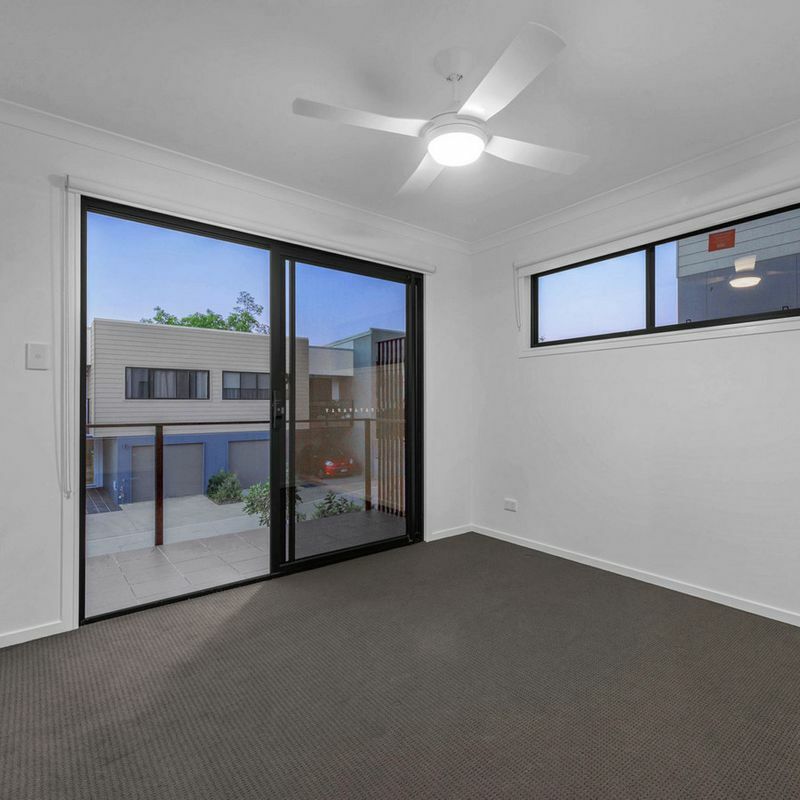 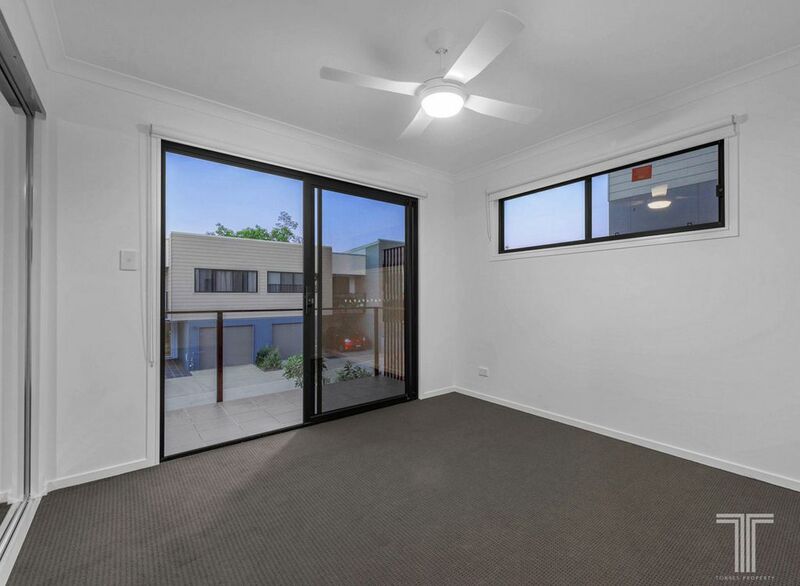 Kept cool with porcelain floor tiles and air-conditioning, this central living area extends out via sliding doors onto your entertainer’s spacious courtyard. 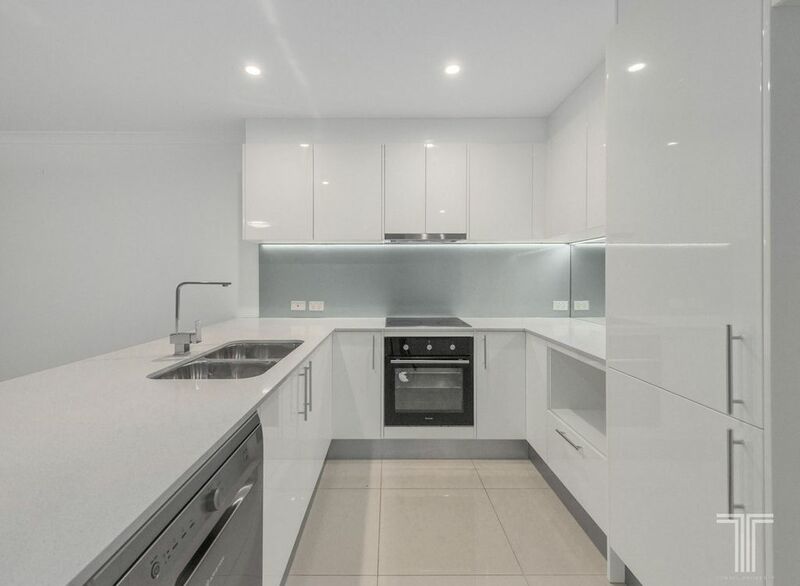 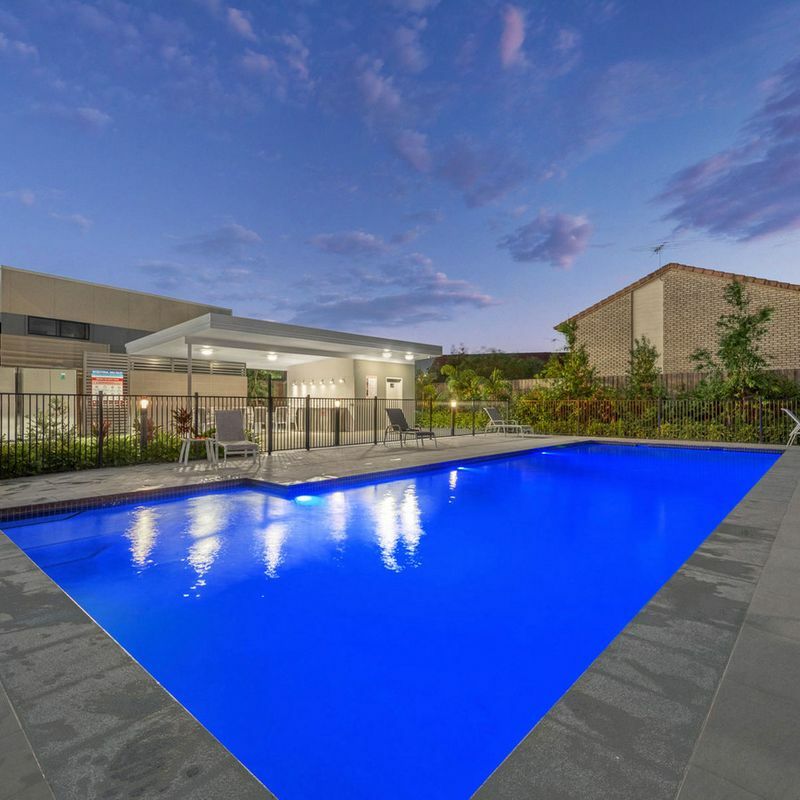 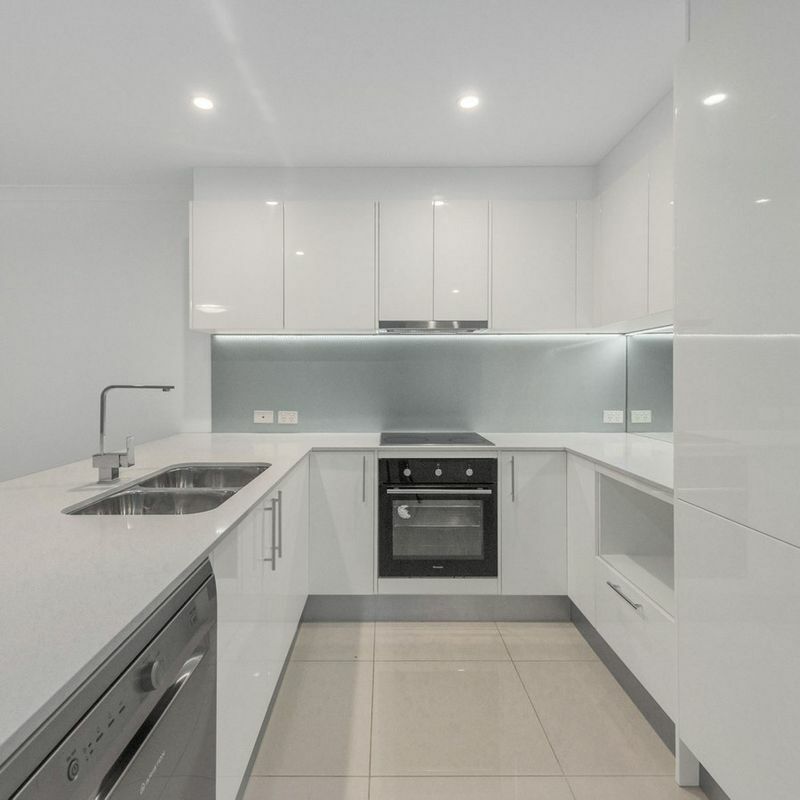 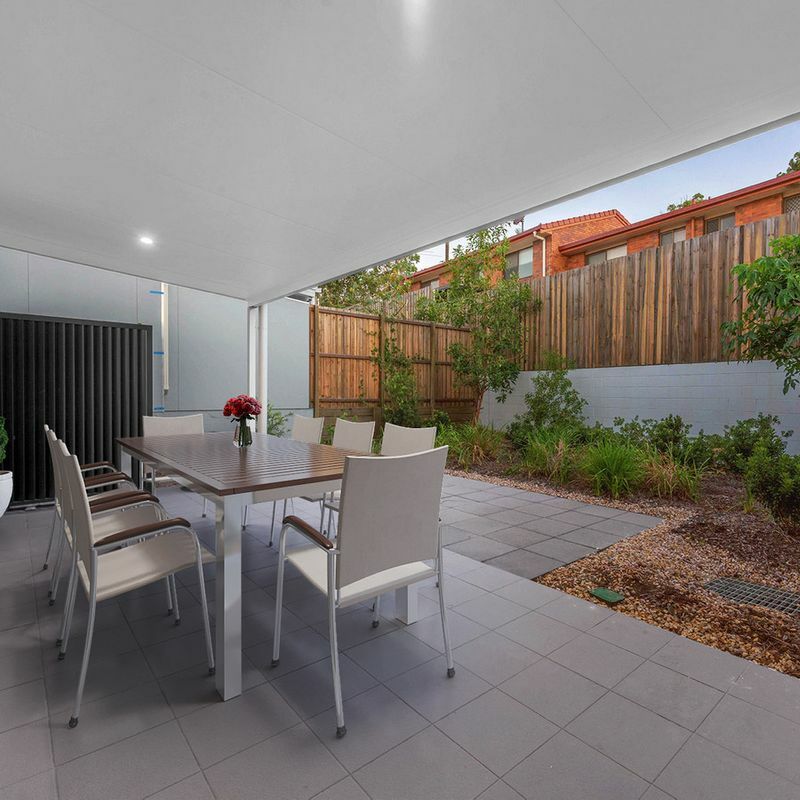 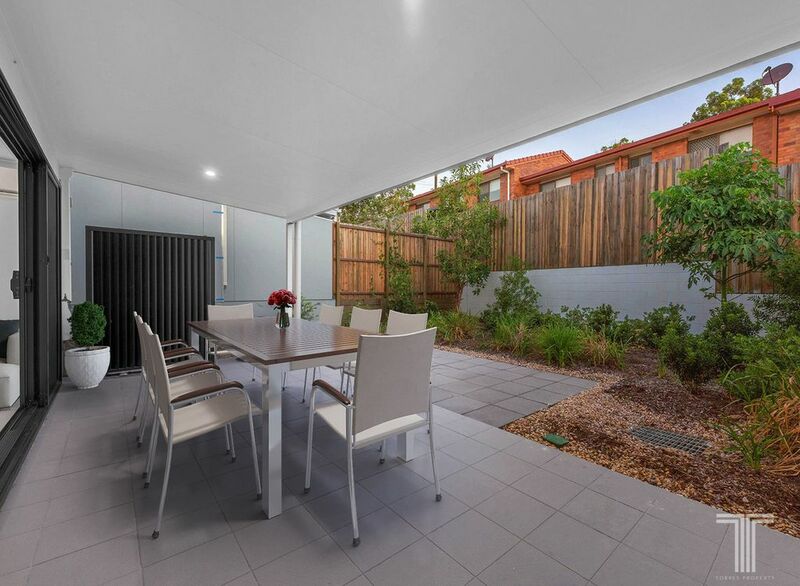 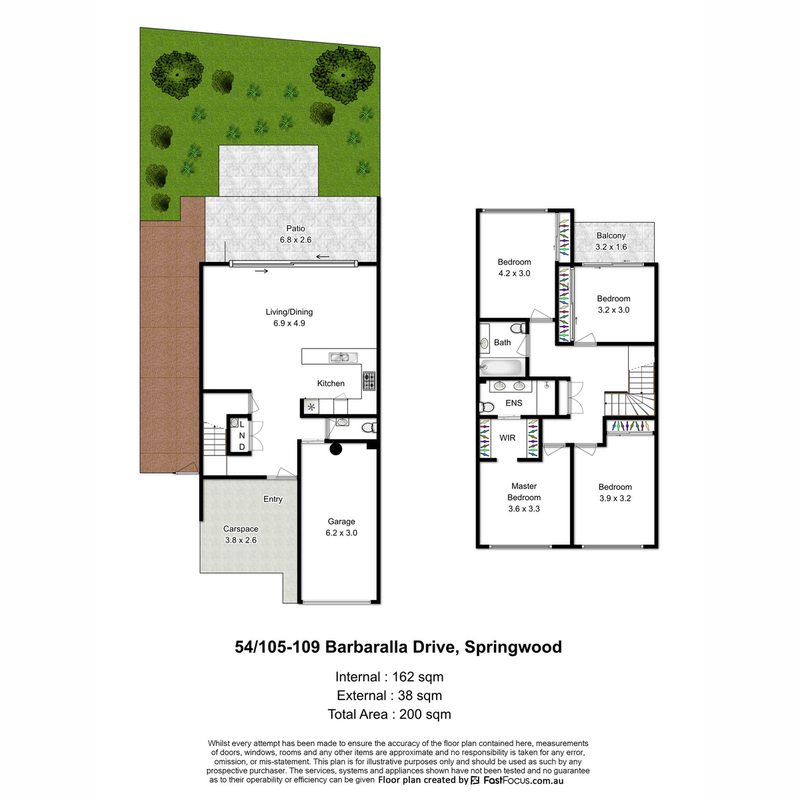 Set amongst a garden and ideal for BBQ’s or alfresco dinners, this outdoor retreat is easily accessed from the exquisite kitchen boasting soft close cabinetry, stone benchtops, quality stainless steel appliances and dishwasher. 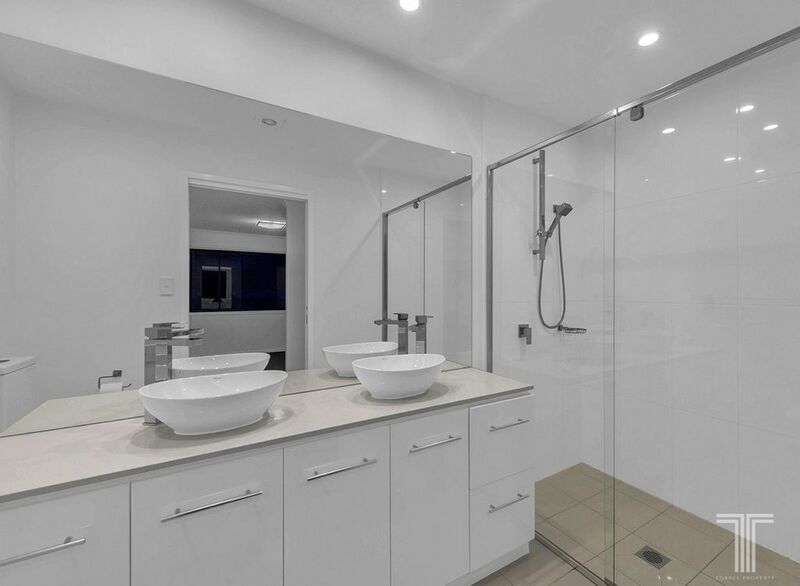 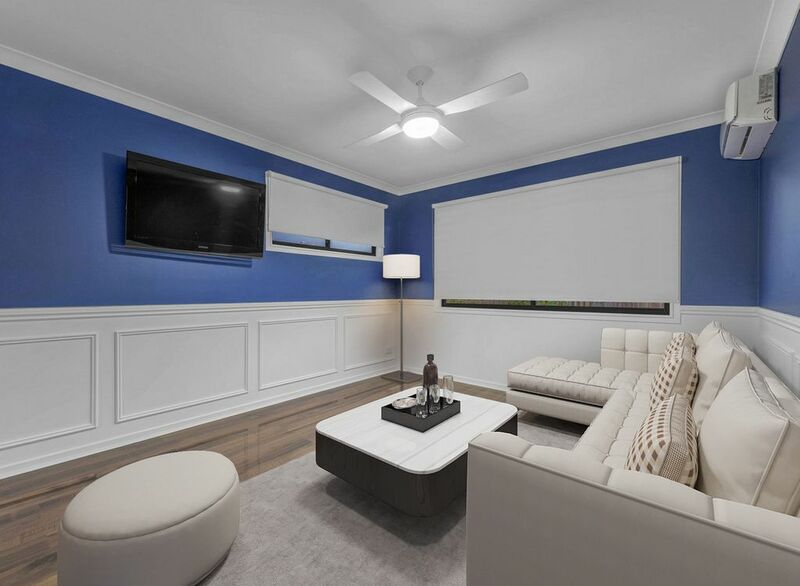 Located on the townhome’s upper level, four generously sized bedrooms include a master suite with walk-through robe and modern ensuite featuring dual vanities. 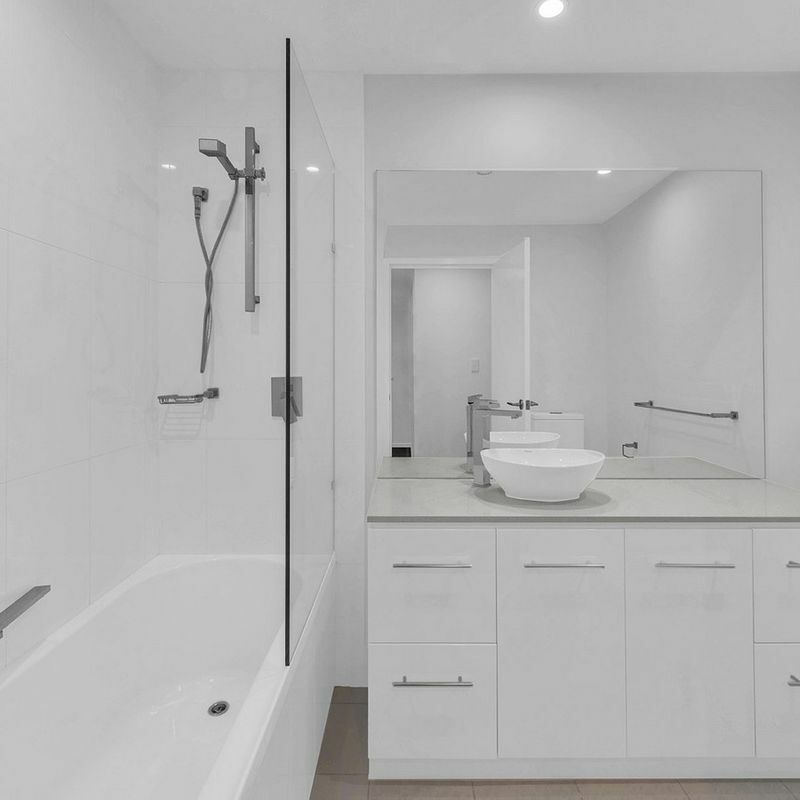 The additional bedrooms all boast mirrored built-in robes and include one with private balcony. 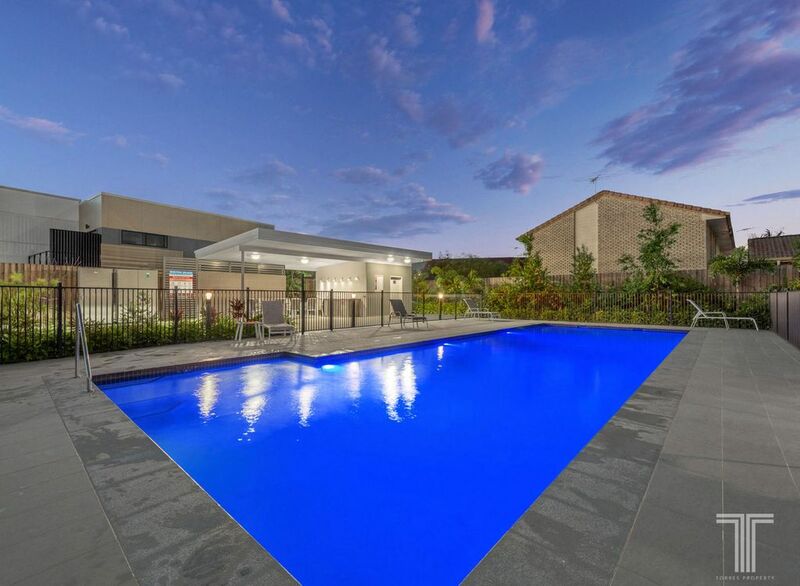 Situated within Springwood presenting a lifestyle balance between Brisbane and the Gold Coast, residents will enjoy the convenience of Aldi next door and Chatswood State School, John Paul College, Mabel Park State High School, IKEA, local parkland, Springwood Plaza and Chatswood Central Shopping Centre only minutes away. 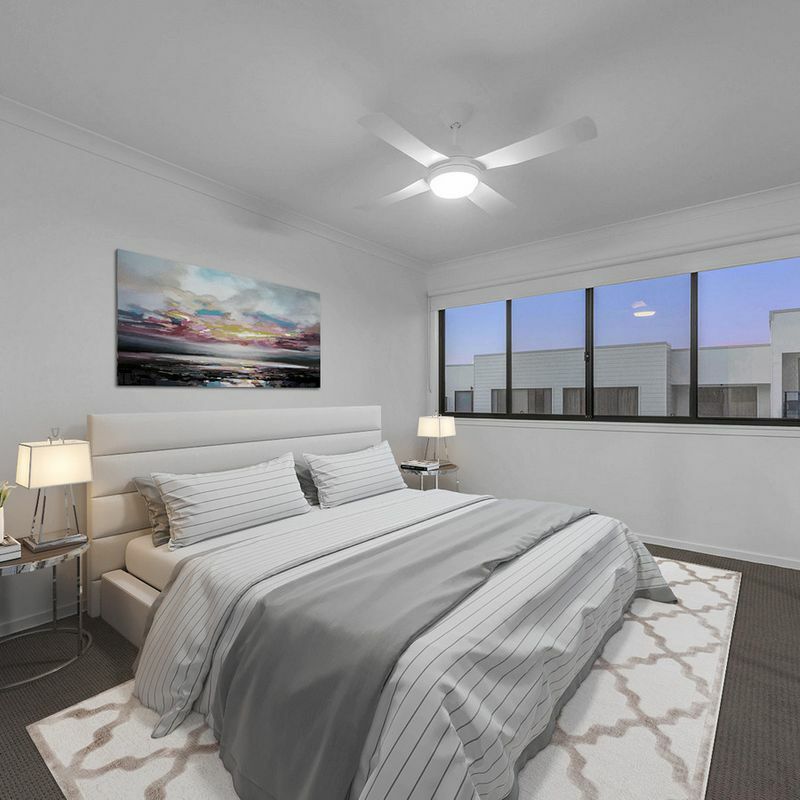 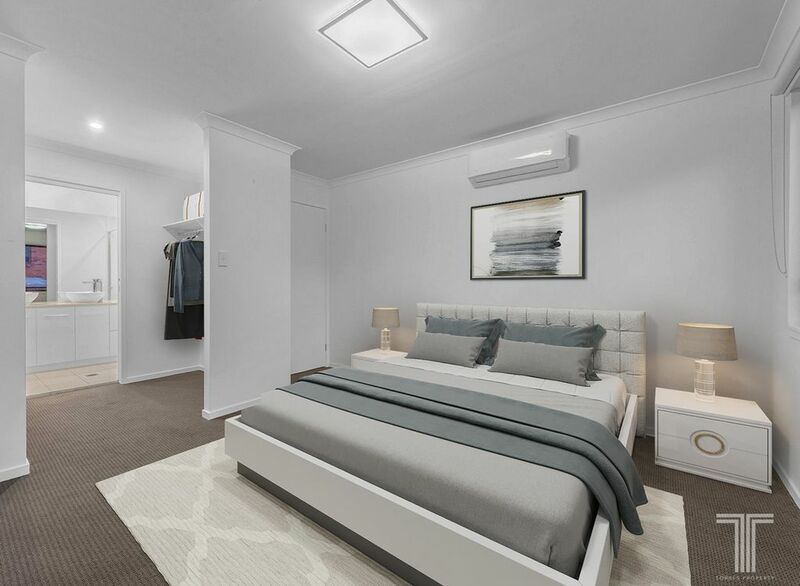 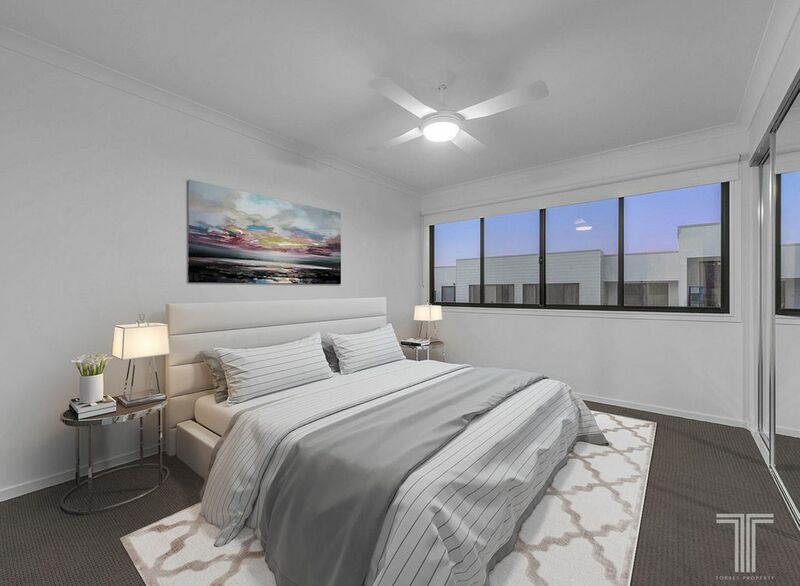 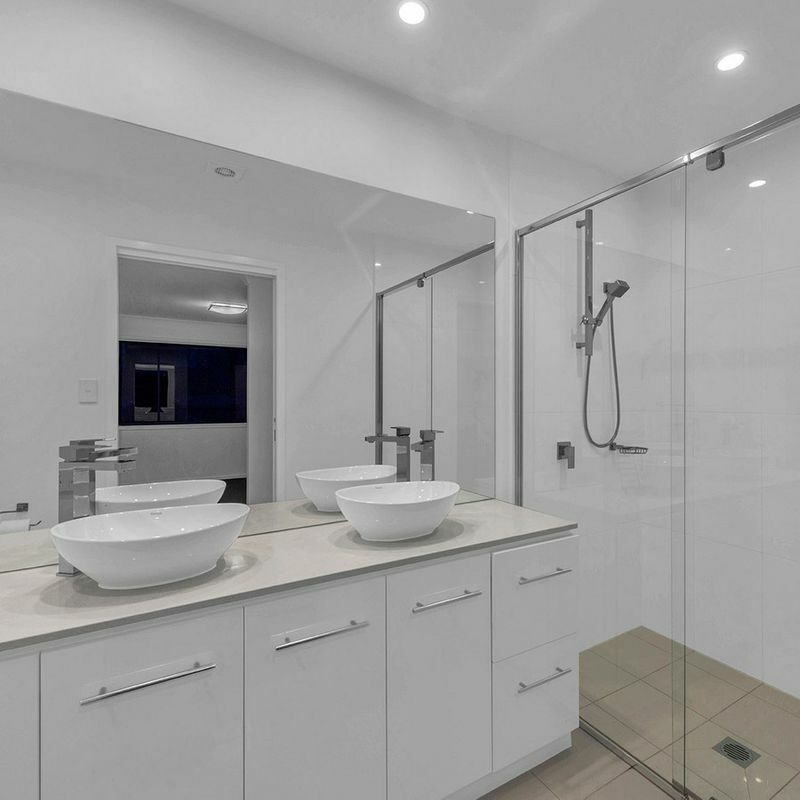 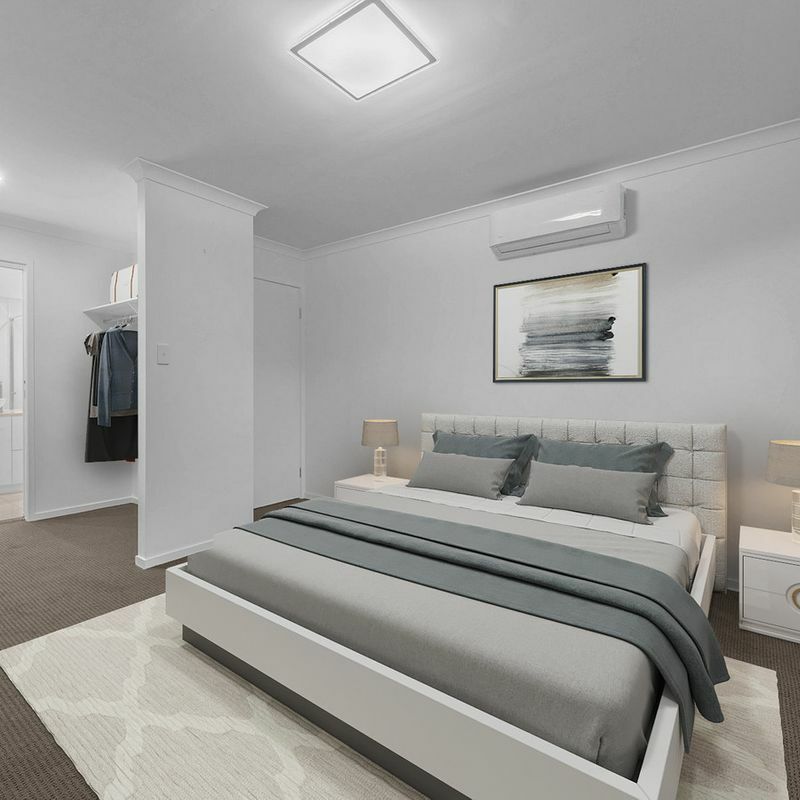 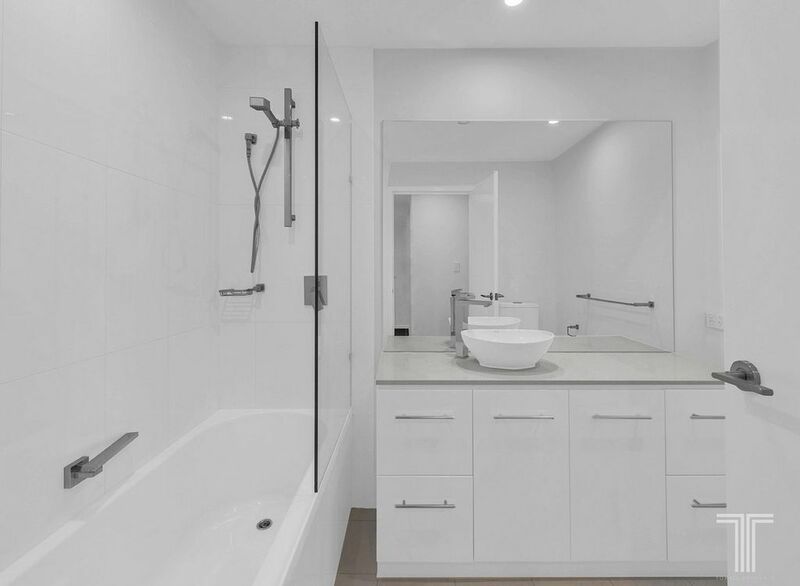 Offering easy access to the Pacific Motorway for quick trips into Brisbane CBD or the Gold Coast’s spectacular beaches, this lifestyle has so much to offer.